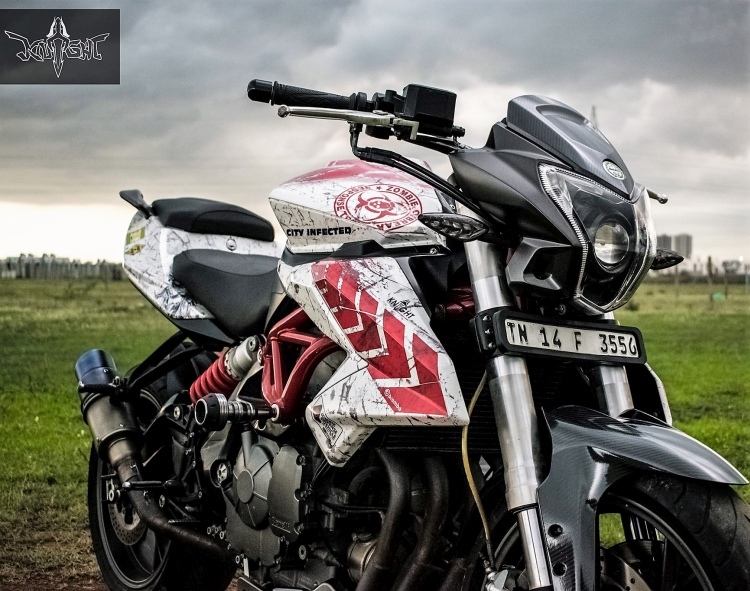 Benelli TNT 600i Zombie Edition: Knight Auto Customizer recently came up with one very exciting product and that was nothing other than a Zombified Benelli TNT 600i. You may think this as a joke but looking at this unique piece of art will make you go crazy for this street fighter. 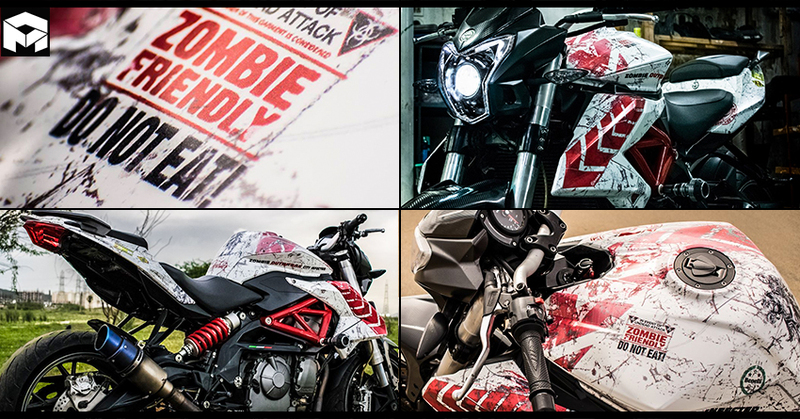 Finished in a base shade of White, TNT 600i here comes with Red stripe inserts, fake blood stains and rough texture for that typical undead attack livery. 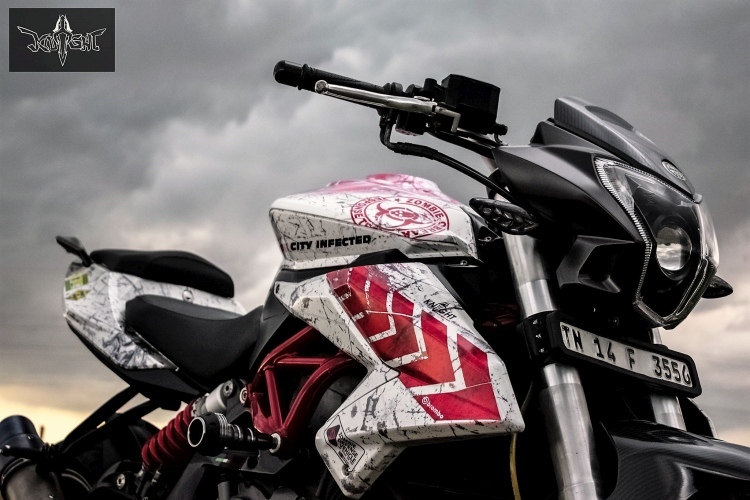 The idea may sound weird to many but the owner of this motorcycle is in no mood to get scared from the upcoming fictional apocalypse. 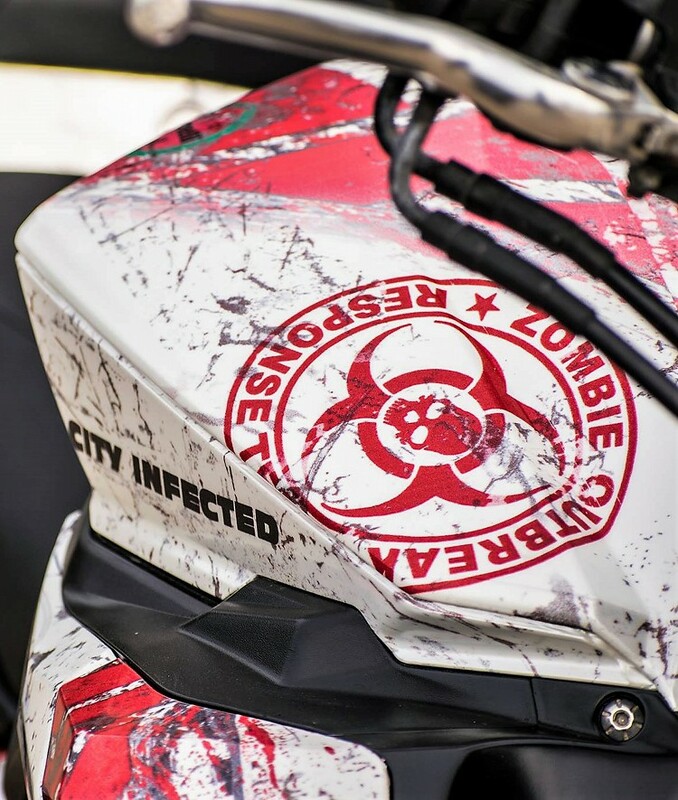 While White and Red are the major shades used on the motorcycle, you will even find small toxic Green labels, Zombie outbreak warning and Infected logos on the motorcycle. 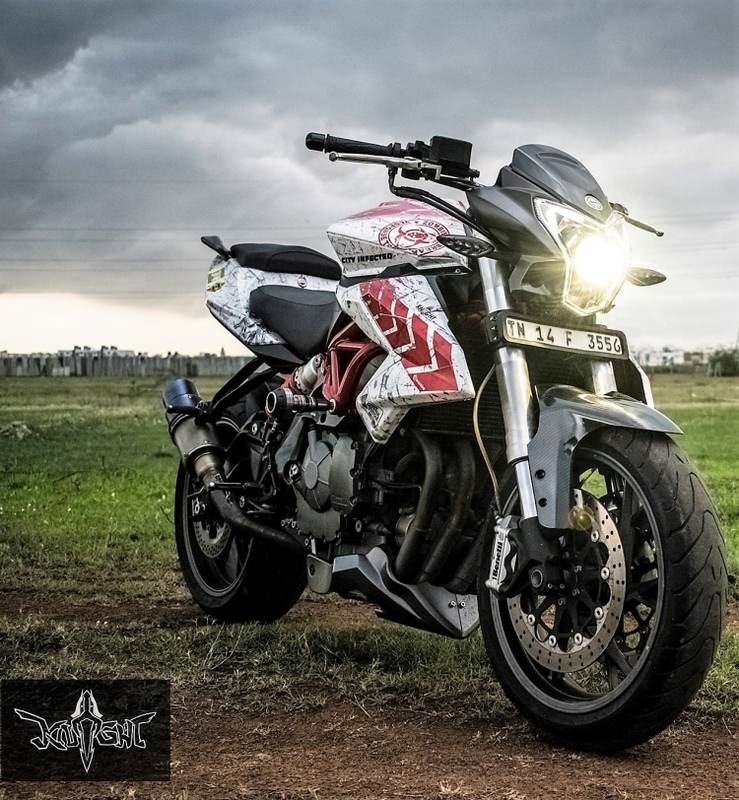 The Benelli logo is still kept on the fuel tank and believe me, no other moniker would have looked so natural on this theme as the one seen here. 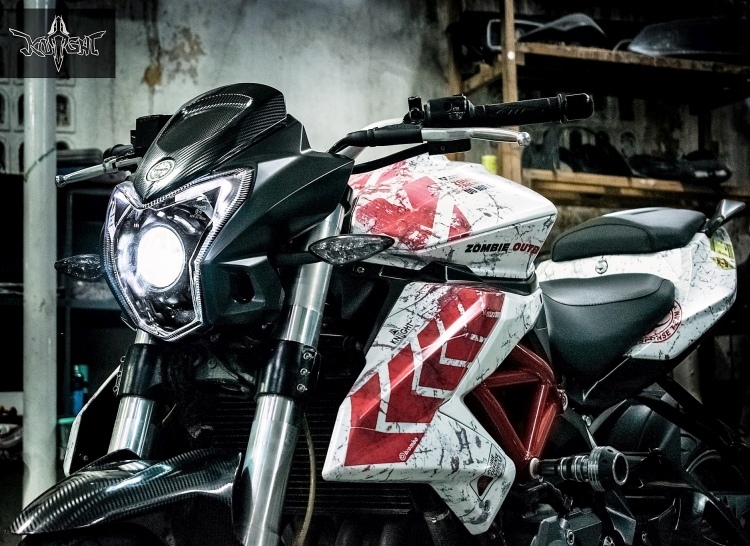 Apart from the graphic additions, this typical Benelli TNT 600i comes with a front projector headlight, nicely outlined daytime running lights and faux carbon fiber finished front fender. 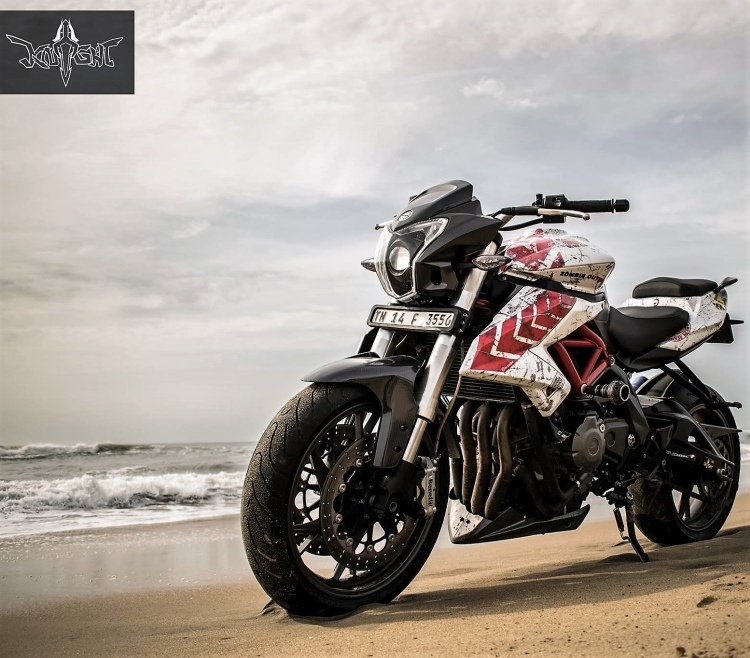 They have even used one impressive exhaust unit that roars much better than most liter class bikes available in the Indian market. 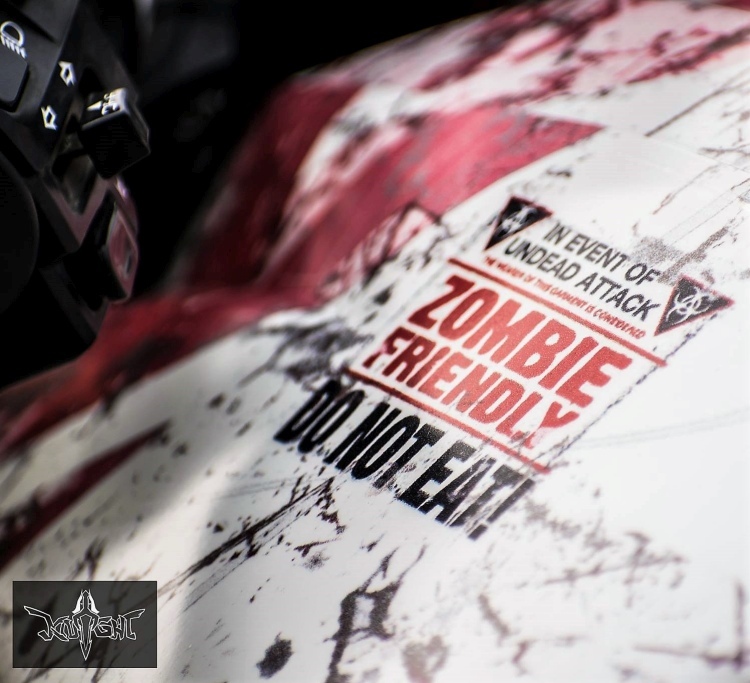 Knight Auto Customizer charged INR 15,000 for this Zombie themed wrap. 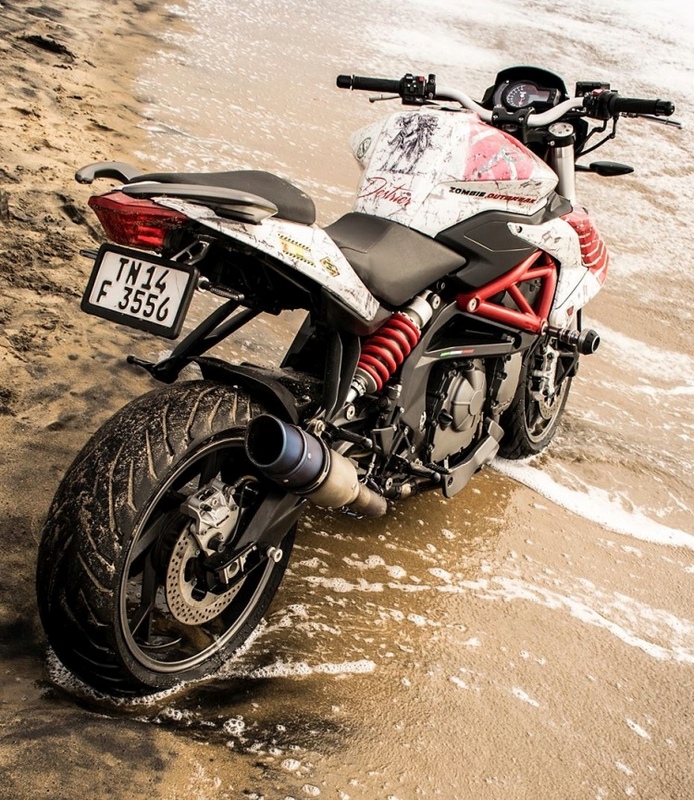 Benelli TNT 600i is powered by a 600cc, four cylinder engine producing 83.90 BHP at 11,500 rpm and 54.6 Nm at 10,500 rpm. The engine comes mated to a 6-speed gearbox. 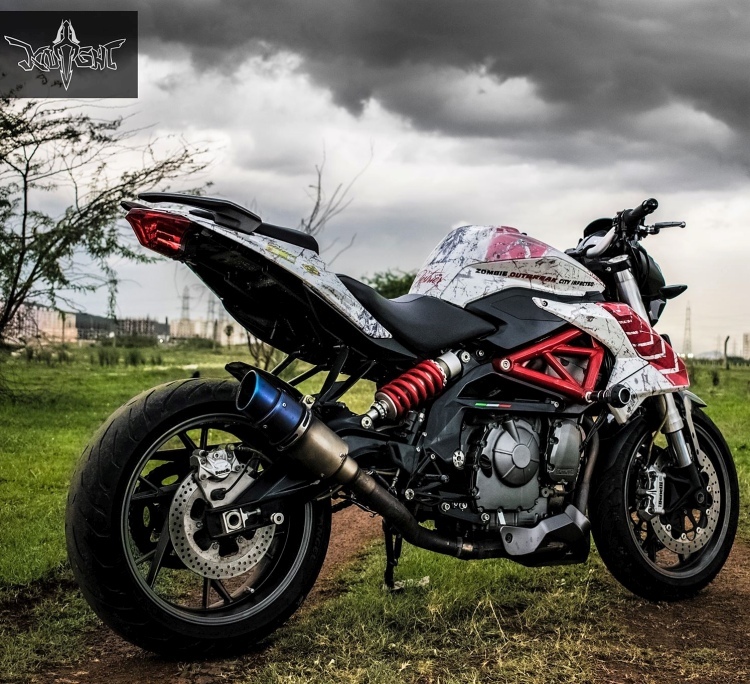 The stock bike weight 231 kg, making it quite heavy when compared to segment rival Kawasaki Z650. 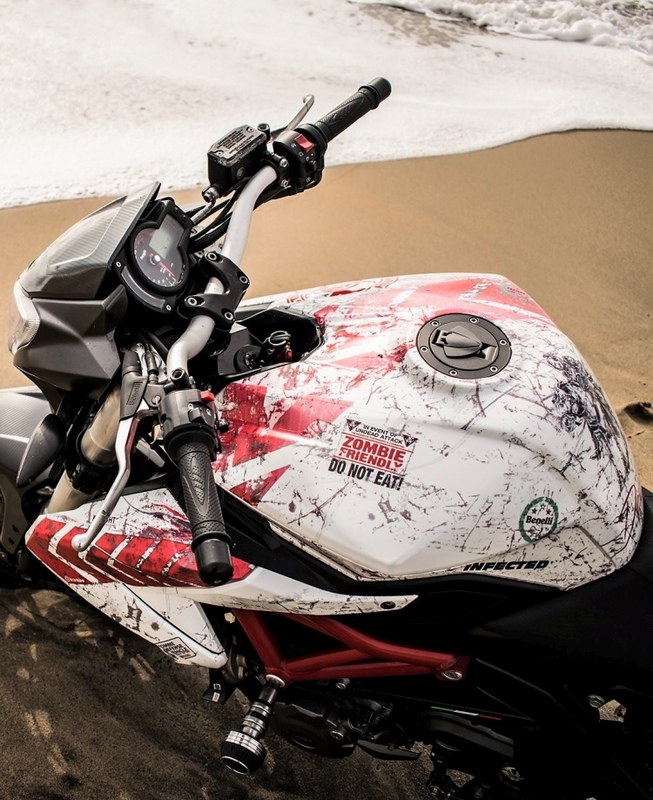 Benelli offers an impressive twin under-seat exhaust setup for their middleweight street-fighter while replacing the same with this free flow unit would have definitely brought the weight down by a considerable margin (without compromising on the sound output). It comes with a price tag of INR 5.78 lakh (ex-showroom Delhi).